The All Progressives Grand Alliance has boasted that it would take over eight more states in the country, having emerged victorious in last Saturday's governorship election in Anambra State. 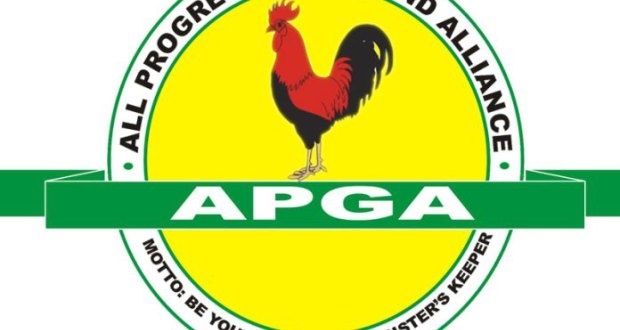 Still basking in the victory recorded in Saturday’s governorship election in Anambra State, the All Progressives Grand Alliance (APGA) is targeting more states in the 2019 general elections. The party has boasted that it would take over 8 more states in 2019. Anambra is currently the only party under the control of the party. Chairman of the party, Victor Oye said the party has already drawn a road map to achieve the feat ahead of the 2019 elections. Oye who stated this during a press briefing in Awka noted that APGA remains the only party with a clear ideology. He also dismissed as rumour the alleged plan by the governor, Willie Obiano to dump the party for the ruling All Progressives Congress (APC). He said the party had never entertained fear of failure, saying it was the confidence and trust it had in God that gave it the victory. "Some people had said that the election would mark the end of APGA, and that we would pack our bags and baggage and disappear from the political scene. But all I simply told them is if God agrees. "It was the contributions of the opposition that helped us to win because if they had not challenged us the way they did, probably we wouldn't have put in much effort as we did," he added. He however assured that the governor would in his usual characteristics extend the hand of friendship to the opposition, just as he said the party would be magnanimous in victory.